Before the term alternative medicine was formally used, aromatherapy was being practiced 5,000 years ago by Egyptians. At that time, oil was extracted from aromatic plants through infusion and used for embalming, cosmetics and medicinal purposes. This knowledge was passed on to the Greeks and served as the basis for more discoveries, including the relaxation and stimulating effects of the fragrance of some flowers. Further, ancient man’s dependence on the environment for all of his basic needs and survival led him to discover natural ways of food preservation and the treatment of various conditions using herbs and aromatics. The use of aromatics is also reflected in a Chinese herbal book by Shen Nung dated 2700 BC, showing specific details on more than 300 plants and their various applications. Ancient Chinese also burned incense and wood as part of religious practices that a good number of their modern counterparts still observe today. Aromatics was also a part of accupressure, massage and other therapies identified with the Chinese. Today, many individuals place a high premium on health and well-being. 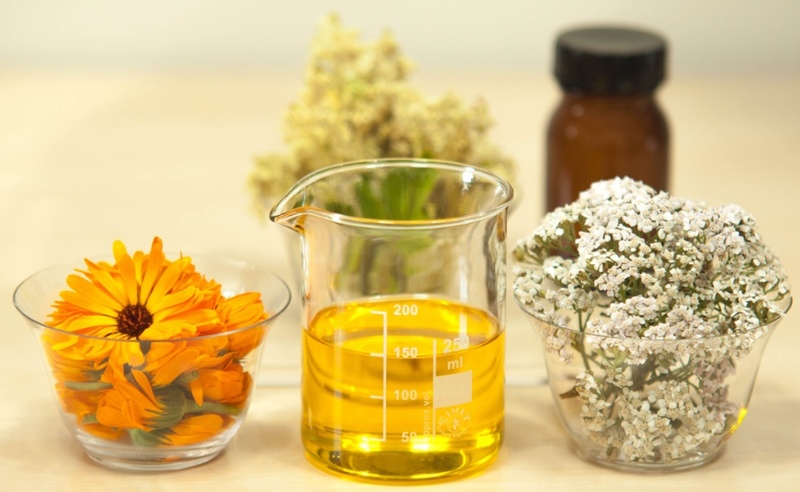 The cost of traditional or conventional medicine and medical procedures has made an increasingly high number of people turn to aromatherapy, or essential oils therapy, and other forms of alternative medicine. Many individuals feel that utilizing these methods is safer than conventional methods of using medications prescribed by physicians that often have negative side effects. Facilitates an equilibrium of physical, mental and spiritual health through natural means. In some cases, these alternative treatments are now considered as effective as traditional medicine. The main component of aromatherapy is essential oils. Essential Oils are highly concentrated essences known for their healing effects. These aroma-producing oils come from the flower, as in the case of a rose, or leaves (basil is an example), twig, bark, fruit rind and other plant parts. The extraction process can be tedious according to some individuals. Obtaining approximately 5 teaspoonsful of oil could entail the use of more than 220 pounds of rose petals. This process is what drives the price point in pure essential oils. The effectiveness is not compromised because a treatment can entail the use of only a few drops to generate the target effect. Another option is the less expensive synthetic oils. However, they do not offer the healing properties of their natural counterparts. Essential oils work by stimulating the olfactory system and later the brain or limbic system. The fragrance, other properties, and effects of the oil determine how these body systems are stimulated. During a massage, for example, these oils are inhaled and absorbed by the body at the same time penetrating the skin and eventually reaching the organs and body systems. The absorption can be as short as 20 minutes and possibly extend to 2 hours or more, making some experts advise against bathing immediately after the massage to maximize the desired effect. The longevity of a fragrance varies from 3-24 hours to 2-3 days and even longer up to about a week. Eucalyptus, peppermint, thyme, and bergamot are among oils with a short-lived scent. Oils such as hyssop and lavender last between 2-3 days. Jasmine, sandalwood, ginger and cedarwood are among the oils that take as long as one week before completely evaporating. The desired calming effect can be achieved by the creation of a balanced perfume; or a combination of the three types of oils based on longevity. These various combinations or aromatherapy blends can be mixed into a warm bath for different desired effect. They can be used to relax and calm an individual, eliminate stress, energize, sooth the body or aching part, etc. The healing or calming effect of a massage can be enhanced by applying essential oils. However, this would require the use of carrier oils to prevent irritation or any other negative skin reaction. Some of these carrier oils, which help dilute essential oils, include avocado oil, olive oil, sunflower oil, wheatgerm oil, almond oil, soya oil and hazelnut oil. Creating new mixtures can be fun and you may be surprised at the benefits of certain oils. Although there are many benefits of aromatherapy and essential oils therapy, caution should be used if you have a serious medical condition. These therapies can be inexpensive in comparison to traditional medications, however, please do NOT discontinue medication without consulting your physician. Categories: Aromatherapy, Education, Uncategorized | Tags: Aromatherapy, essential oils, holistic medicine, oils | Permalink. I am a wife and mother and lover of life. I am here to share thoughts, information, recipes, trivia, etc. I enjoy learning and sharing new things.